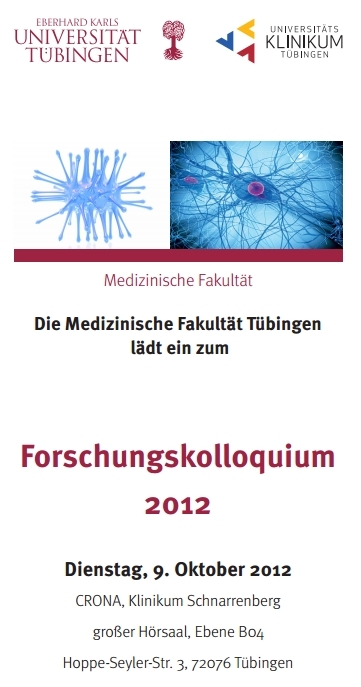 Unten eingestellt ist ein Beitrag aus dem Forschungskolloquium 2012, das an der Universität Tübingen veranstaltet wurde. Der eingestellte Aufsatz beschreibt Ergebnisse aus einer Kooperation zwischen HSP-Forschern an der Universität zu Tübingen und Forschern an der Universität zu Miami. Frau Dr. Schüle war in diesem Zusammenhang einige Monate in Miami tätig. Beschrieben werden unten die Ergebnisse aus einer neuen Sequenzierungsmethode, mit der das Finden von mutierten HSP-Genen zu schnelleren und zu eindeutigen Ergebnissen führt. Die angesprochenen Untersuchungen wurden mit solchen Proben (Menge 123 unterschiedliche Proben) durchgeführt, bei denen in der ersten Genanalyse keine Mutationen nachgewiesen werden konnten. Das neue Verfahren eröffnet die Hoffnung, dass sich nun Mutationen in HSP-Genen schneller nachweisen lassen. Vor allem bietet sich so die Chance, das Wissen zur HSP weiter auszubauen, so dass sich daraus Therapien entwickeln lassen könnten. Hereditary spastic paraplegias (HSP) comprise a group of clinically and genetically heterogeneous neurodegenerative disorders that share the common hallmark of lower limb spastic paraplegia. At least ten genes causing autosomal dominant HSP are known to date, together explaining approximately 60% of cases. An additional 17 genes cause recessive and X-linked forms of the disease, with less certain proportional contribution. We have screened a large cohort of autosomal dominant and other familial and sporadic HSP patients for mutations in the most common HSP genes, including SPG3, SPG4 and SPG31. Mutation negative families (n=100) were examined by whole exome sequencing. 98.6% of the 68,444bp that constitute the coding sequence of the 27 HSP genes known to date were covered with more than 10 reads. On average 13,014 non-synonymous coding SNVs and 512 Indels were called per sample. After filtering of variants for rarity in the normal population, conservation, and predicted functional impact 21 SNVs and 2 Indels were identified across 77 autosomal dominant HSP families in the known autosomal dominant HSP genes. In 23 small families with uncertain mode of inheritance 3 likely causative SNVs and 1 Indel were found in dominant genes as well as 4 homozygous SNVs, 2 compound heterozygous SNVs and 2 heterozygous Indels in recessive HSP genes. All variants were confirmed by Sanger sequencing and pathogenicity was evaluated using segregation analysis, in silico data as well as functional data if available. Clinical features are described for mutation positive cases, including some unusual phenotypes associated with known forms of HSP. Furthermore this broad and phenotypically unbiased approach allows to reliably estimate the frequency of HSP subtypes. Our data demonstrate that whole exome sequencing is a mature tool for mutationscreening studies in HSP and beyond. 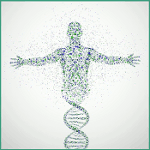 However, new challenges for medical genetic interpretation arise from the identification of variants in more than one HSP gene per family or in known genes of related disorders, including CMT2 and ALS in some HSP families. Even after exome sequencing, about one third of autosomal dominant families remain unsolved, indicating the presence of further unidentified HSP genes.